Great starter home! 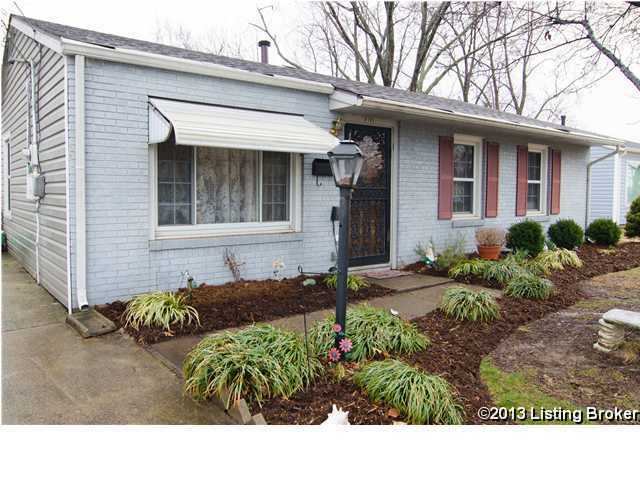 3 bedroom 1 bath with LARGE additional FAMILY room with stone FIREPLACE. This home is cozy and charming! Large eat-in kitchen boasts GRANITE countertops and TILE floors and a lot of STORAGE space. The bathroom has been newly updated with tile floors and shower also has MORE STORAGE. Living Room has been freshly painted as well. In the backyard you will find a large 2 car GARAGE, deck and above ground swimming pool with PRIVACY fence. This home will not last long! Seller wants offers! Seller is offering 1 yr home warranty from 2-10! Preston Park is a subdivision within the city of Louisville, Kentucky. There are currently 0 Homes for Sale within Preston Park, with asking prices ranging from $0 to $0. The average list price per square foot of the available inventory in Preston Park is $0, which is the Louisville average of $157. The Average Sales price of all sold real estate in this subdivision for the past year is $94,774. Recent comparable homes have been selling for 97.57% of their asking price. Waterfront homes represent of the available Preston Park inventory. The population of Louisville, according to the 2010 Census, is 597,337. The total number of households in the zip code of Preston Park is 7,342, with an average household size for of 2.29 people. The total number of renter households within the zip code of 40213 is 2,937, which means that 60.00% of households in this zipcode are owner occupant households. 6105 Loretta St, Louisville KY 40213 is a Home, with 3 bedrooms which is recently sold, it has 1,488 sqft, 0 sized lot, and 2 Car Garage parking. A comparable Other, has bedrooms and 0 baths, it was built in and is located at and for sale by its owner at $ 0. This home is located in the city of , in zip code , this County Other, it is in the Subdivision, LYNNVIEW and NORTH AUDUBON are nearby neighborhoods.